It's a stretch for Saudi Arabia to accuse Canada of meddling in its affairs while it wages war on neighbouring Yemen, says former defence analyst Thomas Juneau. 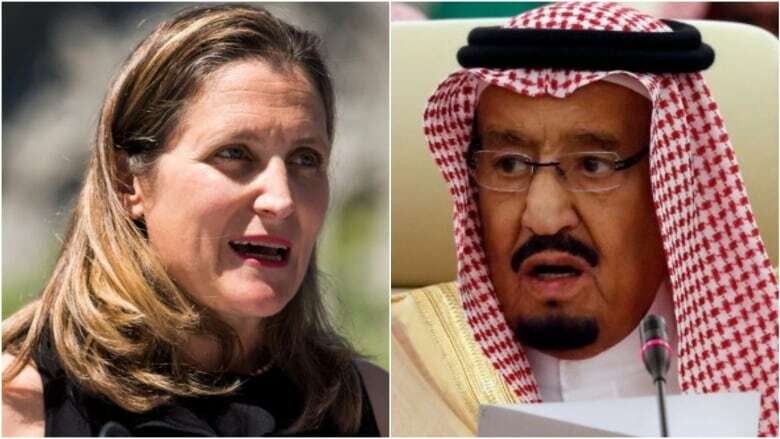 Saudi Arabia said it is ordering Canada's ambassador to leave the country, freezing all new trade and investment transactions with Canada, and moving thousands of Saudi scholarship students out of Canadian schools. 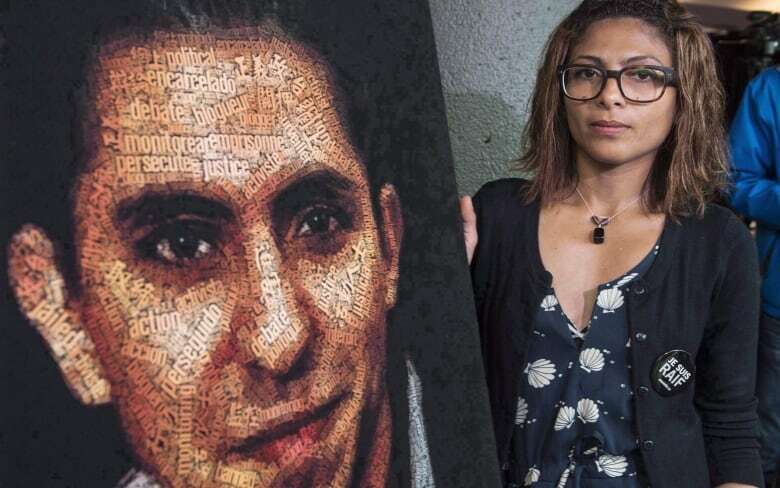 The move comes after Global Affairs Canada issued a statement on Twitter demanding the Saudis release imprisoned blogger Samar Badawi and other jailed human rights activists. Juneau, an international affairs professor at the University of Ottawa, spoke to As It Happens guest host Matt Galloway about the state of relations between Canada and the Saudis. Why has Saudi Arabia acted the way it has now? We have to be very clear that what Canada said late last week was perfectly normal. It's the kind of thing that this country or other Western countries say about Saudi Arabia and other non-democratic countries literally every day. So why now? I would identify two main reasons. Since King Salman came on the throne in 2015 and his son Crown Prince Mohammed bin Salman emerged as really the main player in Saudi Arabia, the country's foreign policy has become much more aggressive, much more ambitious, much more assertive. The other reason is more specific to Canada-Saudi relations. 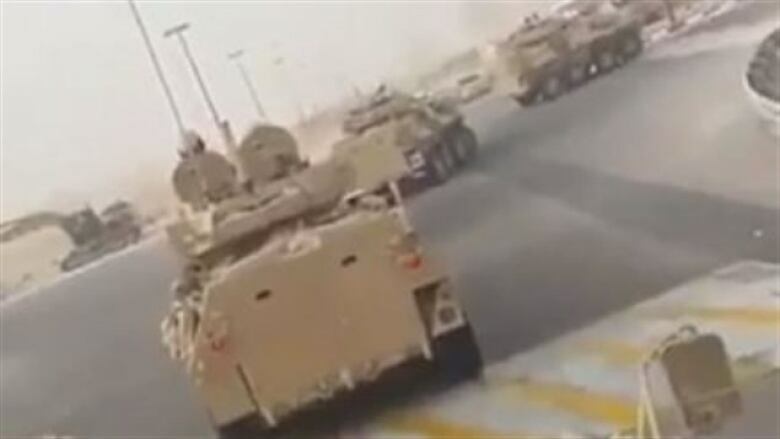 Canada-Saudi relations have often been portrayed in the media in the last two, three, four years as quite good because of the sale of LAVs, the light armoured vehicles, for $15 billion. In practice, in the last two years, relations have grown increasingly tense because Saudi Arabia viewed the LAV deal really as an investment ... to deepen relations with each other — deepen trade, deepen academic exchanges, scientific exchanges, security and defence co-operation and so on. But that didn't happen, mostly because the Liberals really didn't want to be seen as deepening co-operation with such a brutal dictatorship. That really frustrated the Saudis a lot and we just saw that boil over over the weekend. It was referred to in the response from Saudi Arabia as Canada meddling in another nation's internal affairs. What is Saudi Arabia's ground for making a comment like that? If you take just a couple small steps back, Saudi Arabia is leading an extremely brutal war in its neighbour, in Yemen, killing tens of thousands of people and completely ravaging the country. It's imposed an embargo on Qatar, its neighbour. It literally kidnapped and took as a hostage the Lebanese prime minister late last year. So if you want to talk about meddling, right, Saudi Arabia meddles far, far more than Canada ever has. What do you think the effect of the actions of Saudi Arabia is going to have? One thing that is now pretty clear is that about 15,000 Saudi students who were studying in Canada, in universities and colleges, will have to go study elsewhere. Beyond that, you know, economically, I still have to be convinced that the cost to Canada will be large. Two-way trade between Canada and Saudi Arabia fluctuates between $3-$4 billion per year. That's not a lot. That's two days of Canada-U.S. trade. The one big question on the economic front is: What is going to happen to the light armoured vehicles? ... As of right now, we don't know what the status of that deal is. If that is cancelled, that is, on the one side, you know, from a moral perspective, good for Canada because we're not selling weapons to a very brutal dictatorship. Economically, that's a cost because that's $15 billion that will not go into the Canadian economy. Can you do both? Can you have a trade deal with a country that's worth $15 billion, that's going to create jobs here in Canada, but also criticize them on the human rights record? Morally, it's a bit repugnant and there are very good arguments not to do that. But, in practice, Canada, European countries, the U.S. have been selling weapons to non-democracies for decades. So, until now, it was doable. It seems unlikely at this point that the United States is going to follow Canada's lead and call Saudi Arabia out for its human rights abuses. Does that, in some ways, give Saudi Arabia that more leeway here? The nature of the relationship between Trump and Saudi Arabia, what role did that have in encouraging maybe the Saudi action since yesterday? To be honest, I don't know what the answer to that is. Next time Canada has a dispute with another country — and one that matters more than Saudi Arabia — will the U.S. have our back? Will the U.S. be there to support us, as it would have been until 2016? When it matters more, that's where it could be more problematic.